Lots of our liberal posters love to bash Fox news. They ridicule it for not being a real news channel but only a PR machine for the Republican party and refuse to acknowledge that it does a good and fair job of covering NEWS. There are O’Reilly, Beck and Hannity and there is NEWS coverage. The big TV news story this week was the rescue of the miners in Chile. Fox blew the competition away. This wasn’t commentary. It was a NEWS story and people turned to Fox to get the story. Dan Bylsma has decided to sit Marc-Andre Fleury Friday night against the Islanders at Consol and maybe for the Flyers game in Philadelphia on Saturday. It’s obvious that Fleury hasn’t played as well as he should in three of the Penguins first four games–all of them losses– and his stats are embarrassing, but you know who else has put up embarrassing numbers in the first four games? A couple of guys named Crsoby and Malkin. They have a combined two goals and two assists in four games. If we’re going on stats alone–something we should never do–their stats are worse than Fluery’s and they’re non-contribution has been as much a part of the three losses as any soft goal that got by Fleury. The guys who are paid the big bucks to bury the puck need to start earning their money and take some of the focus off the goaltender. You can’t bench Crosby or Malkin but you can’t let them off the hook, either. Two recessions. Who did a better job of getting the country out of a recession, Obama or Reagan? Tampa Bay Rays fans –all 27 of them– have at least been lucky enough to have meaningful games to watch in September and October the last few years. That’s more than you can say for Pirates’ fans. But the baseball world is about to find out why the Rays haven’t been able to average 25,000 fans. Carl Crawford –one of their best players and a guy who started his pro career in the Rays’ organization– is about to become a free agent and he knows he’s done in Tampa. The Rays had a $73 million payroll (double the Pirates) and they’re planning to reduce that number for next season. Of course, the mega-market teams have had their eyes on Crawford for a long time. Kind of like the way they have their eyes on a can’t miss prospect in their farm system. So, at 29, prime age for a baseball player, Crawford will leave the team that he would love to play his entire career with behind. And The Idiots Who Run Baseball will continue to wonder why they’re losing more fans than their gaining. And Bud Selig will tell you that his sport has achieved parity and that you’re lucky enough to be living in the Golden Era of Baseball. Here’s hoping the Rays average 2,500 a game next season and lose 110 games. Joe Butler of Metro Index Scouting Service has some interesting factoids and analysis. 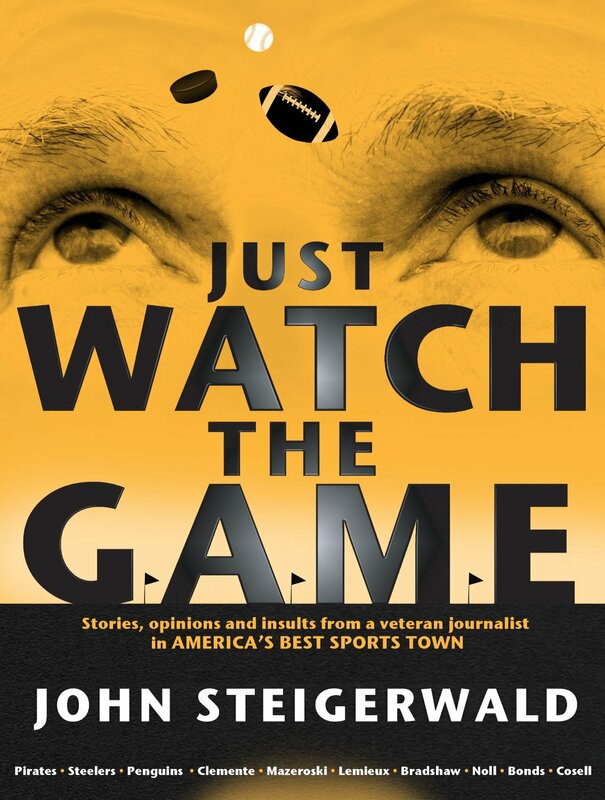 Just Watch The Game will be in bookstores the first week of November but you can order it now by clicking the link on the right side of this page. It will save you 10% off the list price and make you one of the first people on your block to have a copy. How could you possibly pass on an opportunity like this?